Recently we have highlighted the impact that stress can have on our breathing pattern as well as our movement, but how do we effectively manage stress? This is the first in a 4 part series emphasizing specific behaviors that can optimize stress management. In this post we will discuss the importance of establishing a morning ritual to help set up a day for success. This will be followed by sleep optimization, nutritional support, and concluded with the benefits of consistent exercise. Let’s jump into learning the importance of a morning ritual. This will be the easiest of the four pillars to implement into life immediately. First, I believe that we have to define, ritual. A ritual, typically associated with religious beliefs, can be viewed secularly as an order of actions arising from convention or habit to support a goal. (1) It is likely that most, if not all, of us already have some form of a ritual each morning. But is it setting a foundation for success? The key component of a ritual should be the freedom of thought. (1) We should not have to think about what our next action will be. This is wasted energy and will ultimately lead to fatigue during the day. The brain is only about 2% of our bodyweight, yet it consumes an astounding 25% of our glucose energy supply. (2,3) In other words, if we reduce decision-making fatigue we can reduce the onset of early morning stress. What is my morning ritual? 4:15-4:45AM Read daily bible scripture and meditate on the day’s teachings. Kuzawa CW, Chugani HT, Grossman LI, et al. Metabolic costs and evolutionary implications of human brain development. Proc Natl Acad Sci USA. 2014;111(36):13010-5. Esch T, Stefano GB. The neurobiology of stress management. Neuro Endocrinol Lett. 2010;31(1):19-39. Swenson R. Margin, Restoring Emotional, Physical, Financial, and Time Reserves to Overloaded Lives. Tyndale House; 2014. The nervous system is truly the most incredible and adaptable biological system ever created. The nervous system is an intelligent design composed for bidirectional biological communication to ensure survival. I was fortunate enough to attend a course, Mobilization of the Neuroimmune System, this weekend to enhance my understanding of how to best recognize and approach a comprised nervous system. 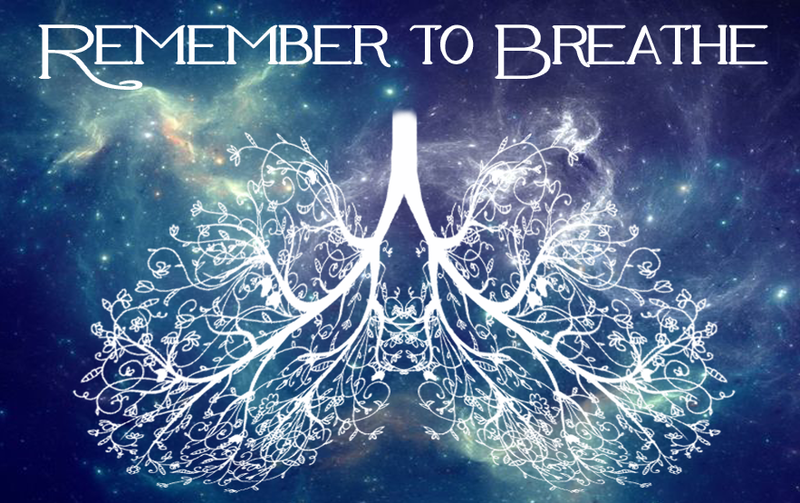 Active treatment is more than just moving it also includes breathing and learning. In this post I want to explore the first take away to help illustrate briefly how the nervous system and immune system are related. We got the weekend started by diving deep into the neurobiology of the nervous system and its relationship with the immune system. Traditionally these two systems have been viewed as separate entities, but that view is now stale, especially when pain enters the picture. It would now be appropriate to view the nervous system as a neuroimmune organ. Have you ever wondered why you get a whole body ache when you are sick? Or why your musculoskeletal pain worsens when sick? What about why your pain increases with a weather change? Each of these are due to an elevated neuroimmune system response based on past experiences. The immune system is a system that knows who you are and will intervene whenever you are not yourself. The immune system is very efficient as there are nearly ten times the amount of immune cells than there are neurons (nerve cells). This is a beautiful and efficient design for protection. Unfortunately the initial response of the nervous system tends to be inflammation and a painful experience because they are most effective at altering behavior and reducing an imposed threat. But why does this occur with something as simple as a weather change or going on a walk? Well, the human brain never forgets. It has an amazing capacity to remember and store memories within the hippocampus. When memories are stored so are the emotions and the environmental context of the time. So when an event or environment is encountered the body will recall memories, the associated emotions, as well as the environmental context to predict an appropriate outcome. If there was a harmful experience in the past you may trigger an immune response. How? Interestingly enough, your emotions are derived from the amygdala and memories, the hippocampus, both of which are immune system mediators. This means that your past experiences can trigger immune responses and dictate how the nervous system responds. How the nervous system responds is dependent upon the pathobiological mechanism, or how the brain processes the incoming information. There are two types of mechanisms: pain and tissue. The pain mechanism tends to be related to central processing and viewed as a top-down process. When this occurs there has become alterations in the central nervous system causing the brain to become too protective with its’ predications. There has become a belief there is more danger than there is in reality. Danger will evoke F.E.A.R (false evidence appearing real). Remember your emotions can trigger an immune response even if unnecessary. This in turn begins to make your nerves more sensitive and more irritable for the future. Often you can determine if there is a central processing issue by placing a hot pack on a painful region. If you think about it from a physiological perspective this should increase inflammation and make you feel WORSE! So if heat feels good be thankful because the tissue you think is damaged is likely not as bad as you think! The tissue mechanism is related to peripheral processing, or a bottom-up process. This is the typical process during an acute injury and follows the predictable stages of healing. When a tissue is injured inflammation is sent locally to start the healing process. This inflammation triggers the neuron to fire a signal to the brain. If pain is the output, inflammation will be sustained to allow the tissue to heal. Remember inflammation is a protector. So when inflammation persists it will reduce the firing threshold of the neurons, making it easier for them to be triggered. This prevents you from further tissue damage, but makes you more likely to experience pain with normally non-painful activities. Interestingly though this is not just an acute scenario. Once you have healed completely, your body will leave some resident immune cells in the previously injured area just in case. This is why your body can remember your pain so well and allow a “relapse” to occur. Remember the brain never forgets and always predicts. We do not have pain receptors! We have nociceptors that send a signal to the brain where it is decided whether or not pain is the appropriate response. This is why tissue damage and pain rarely correlate! That being said, deciphering if it is a pain or tissue mechanism is not as simple as placing a hot pack and seeing what happens. 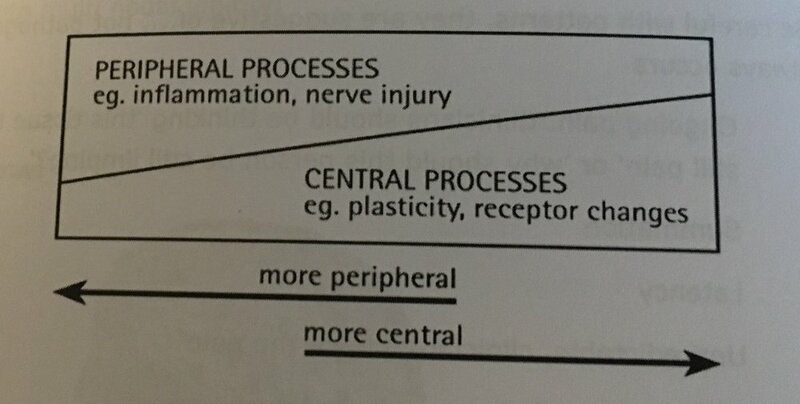 Central and peripheral processes occur simultaneously, but which is the dominant player is the critical aspect. 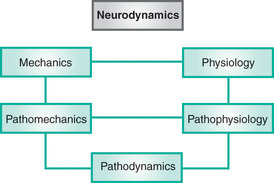 In part 2 of this series I will review how the use of Neurodynamic testing can help to illuminate the physical capacity of the nervous system and guide this clinical reasoning process. Self Myofascial Release: Are You Being Effective AND Efficient? One of the hot topics within the physical therapy and performance sectors is Self Myofascial Release (SMR). Today, it seems the debate revolves around weather or not a tissue is really being influenced or if it is wasted time and energy. This is not a road I care to travel down because I am unlikely to actually change a viewpoint with this writing. However, if you do choose to perform SMR I want you to be as successful as possible. 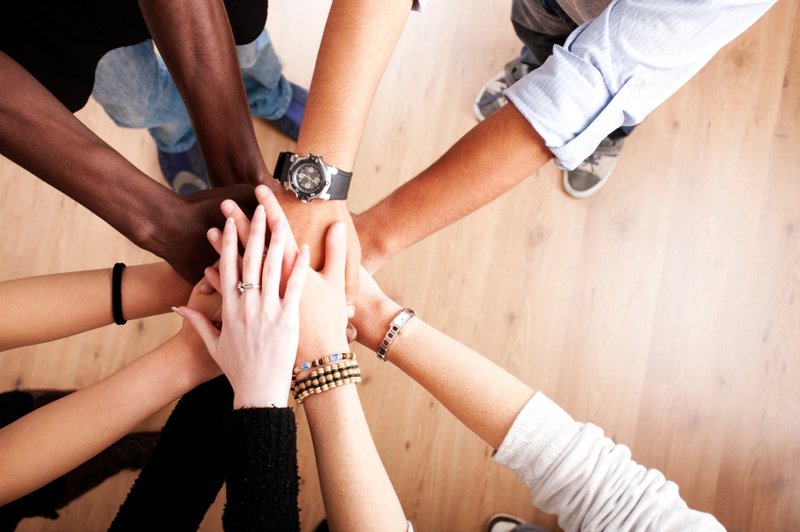 I want to share five ways both effectiveness and efficiency can be improved. The traditional foam roller is very broad and contacts a larger surface area. This is not a bad thing, but with increased surface area there is reduced peak pressure applied. 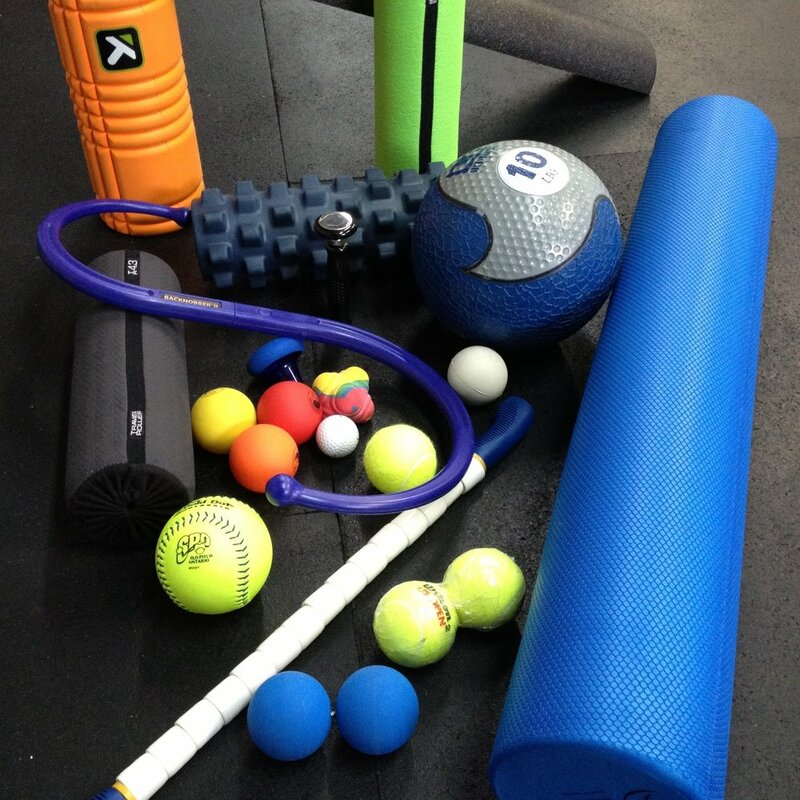 However if you find an exquisitely tender point within the fascial system you may be better served to replace the foam roller with a smaller implement such as a mobility sphere, lacrosse ball, softball, etc. By doing so, peak pressure is increased and acute tissue adaptation is more likely. However it is unknown how much pressure is created during an SMR technique while using a foam roller. The current biological research shows that for a soft tissue to deform, a moderate to large amount of pressure is needed. Increased levels of pressure is believed to stimulate mechanoreceptors within the fascial system to yield the biological response desired in the targeted tissue. Thus, to achieve an optimal response, it is logical to consider reducing the surface area. Moving away from the foam roller and switching to a sphere of some sort also allows you to manipulate the tissue in multiple planes, or rather cover all 360 degrees. Tissue adhesions/trigger points don’t occur uniformly. For simplicity, think of a healthy tissue as uncooked spaghetti. Just like uncooked spaghetti, muscle fibers tend to run parallel to one another and intentionally influence the position of multiple fibers. This is contrasted with an unhealthy tissue full of adhesions, which is more like cooked spaghetti. You try and pull a single noodle out and it will increase the stress applied to a large quantity of the noodles. It seems nearly impossible to free a single noodle if you only try to pull in one direction. Now apply this to an SMR technique, what happens when only one plane of motion is addressed? Limited success. The fascial system cannot be freed by addressing only one direction. Rolling in all directions will give a better chance of making a worthwhile adaptation. Another useful angle is very similar to the pin and stretch technique. Some of the most effective forms of manual therapy occur when a muscle is shortened, contact is placed on a palpable adhesion, and then the muscle is lengthened through its’ range of motion. Similarly if a restriction is found in a muscle regardless of the implement, foam roller or sphere, if the tissue is pinned at an adhesion and then that SAME MUSCLE is moved back and forth through its range of motion you can achieve a similar result. Moving the adjacent musculature is a fourth modification that can be made. It too builds off of the pin and stretch concept. Myofascial research shows that our muscles are meant to slide and glide past one another. This is a sign of efficient movement. However some adhesion formations will restrict this muscle play and impact movement patterns. Thus if a muscle is again pinned at an adhesion and the ADJACENT MUSCLE is moved through its full motion, muscle play can be restored to an optimal state. The final technique to improve efficiency and effectiveness hangs its hat on the fact that the effects of foam rolling are very short lasting. This is why people feel like they need to continuously “roll out.” If an SMR technique is paired with an exercise emphasizing the mobility of the same structure the effect will be greater. The rationale or belief is that SMR increases the available mobility, which increases the neurological window for retraining a movement pattern. Thus, performing back to back exercises or incorporating SMR into a circuit can create neurological priming to a tissue and thus allow for a greater adaptation when the tissue is subsequently loaded. 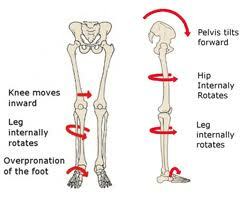 This forces muscular adaptation. The result, more resilience and sustainability within a tissue. Try any or all of these five techniques the next time you perform a Self Myofascial Release technique to improve both your effectiveness and efficiency. This will allow you to redirect more of your time and energy into your exercises to create longer lasting adaptations that will keep you healthy! For more information, contact Larry Stone at lstone@handsontherapeutics.net, or call 314-994-7468. Why are you likely to fail? You should start by asking yourself what it is that you want to achieve, and what are you willing to do to reach your goal. Once you have decided what your end goal is, the next step is developing a detailed plan because a goal without a plan is just a wish. This may include a specific diet, exercise plan, lifestyle changes, etc. 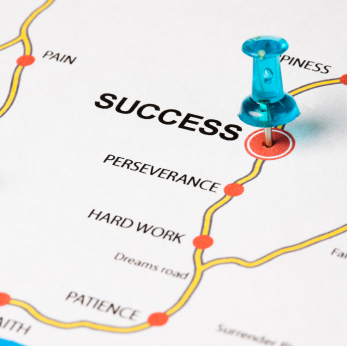 Once you have made a road map for yourself, you are more likely to follow through with what you set out to accomplish. It is also important to bring your friends and family into your weight loss journey. Some fall short of their goals because they made a promise solely to themselves. When left to our own resources, we have no problem letting ourselves down. If you promise someone that you will be there for them, you are far more likely to follow through. The same idea applies to weight loss. If you profess your path to weight loss to someone else, along with specific goals and time frames, you are more likely to succeed.